Bob Bancroft, well known advocate for wildlife in Nova Scotia and outspoken critic of industrial forestry practices in the Maritimes will be giving this talk at the Tantallon Library, Tantallon, Nova Scotia at 2 pm on Saturday January 21, 2017. Read more in The Masthead News. Bob Bancroft was inducted into the Nova Scotia Forestry Hall of Fame in 2013. 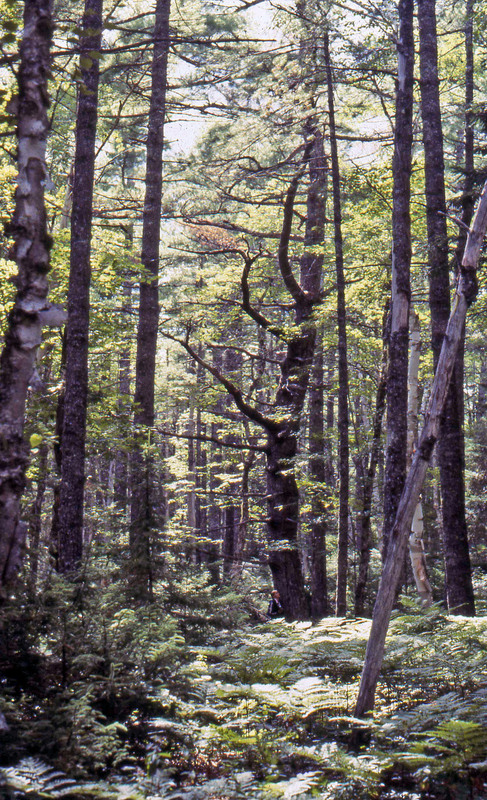 Bob Bancroft in CH, Mar 4, 2016.”Centuries ago, Maritime forests loomed over freshwater shores; tall, vibrant, thick and strong…More than 40 per cent of the operable forest in Nova Scotia has been clear-cut in the last 25 years. Many Nova Scotians understand that clear-cutting and other large-scale methods of forest flattening cause drastic environmental changes.” Read more. Bob Bancroft in Nova Outdoors, Spring 2005. Bob offers some ideas for improving the forest habitats available to wildlife, and why that’s important. A panel of expertise report on forests by Bob Bancroft and Donna Crossland to the steering panel for the Nova Scotia Natural Resources Strategy 2010 process. This report was widely applauded, the Steering Panel adopted most of their recommendations, and then NDP Minister of Natural Resources John MacDonell promised fundamental change. He released a set of “strategic directions which included a commitment to “Reduce the proportion of wood harvested by the clear cut method to no more than 50% of all forested lands over a five-year period”. Within months, however, Premier Dexter shifted MacDonell to another Dept. and the Bancroft/Crossland Report was tacitly shelved in favour of an alternative, industrial forestry-oriented Report by Jon Porter. The province was still committed to the 50% target for clearcutting but introduced a definition of clearcutting that effectively allowed a lot of what is functionally a clearcut not to be counted as a clearcut. Four years later the new Liberal government hired Jon Porter as the executive director of the NSDNR’s renewable resources branch. In August of 2016 (the year clearcutting was to have been reduced to 50% of all cuts), the province issued a five-year Progress Report on the 2011-2020 Natural Resources Strategy in which they announced that the 50% target was irrelevant because “We have now developed tools that ensure that all harvest treatments are aligned with the nature-based requirements of Nova Scotia’s lands.” The return to same old same old was complete. Regardless of the history subsequent to the Bancroft/Crossland report, their report still says a lot about the current state of our forests (just add 6 more years of extensive clearcutting and the “biomess”) and where we should be headed. Also see the Research Addendum. This entry was posted in clearcuts, Conservation, events, Wildlife. Bookmark the permalink.